"In March 2013 a young man known as LB, short for Laughing Boy, was admitted to an NHS assessment and treatment unit. LB was 18, a fit and healthy young man who loved buses, Eddie Stobart and speaking his mind. He also happened to have autism and epilepsy. After 107 days in the unit, he drowned in the bath, on 4 July, an entirely preventable death. LB’s mum, Sara Ryan, had blogged about their family life for a number of years before he was admitted to the unit, and I was a regular reader of her blog. When he died I did not know what to say, so I said nothing. Six months after LB died an independent investigation into what happened was due to be published and I got in touch with Sara and offered to help raise awareness of what had happened. I joined a growing group of outraged JusticeforLB campaigners. Learning disabled men die on average 13 years sooner than the general population, and women 20 years sooner. LB should not have died, his death was entirely preventable, especially if healthcare staff had listened to his family’s concerns and acted on them. Personally, as someone with a background in learning disability and research, the JusticeforLB campaign felt important to get involved with. We have so much knowledge that is not reaching those that need to act on it, and people keep dying prematurely. 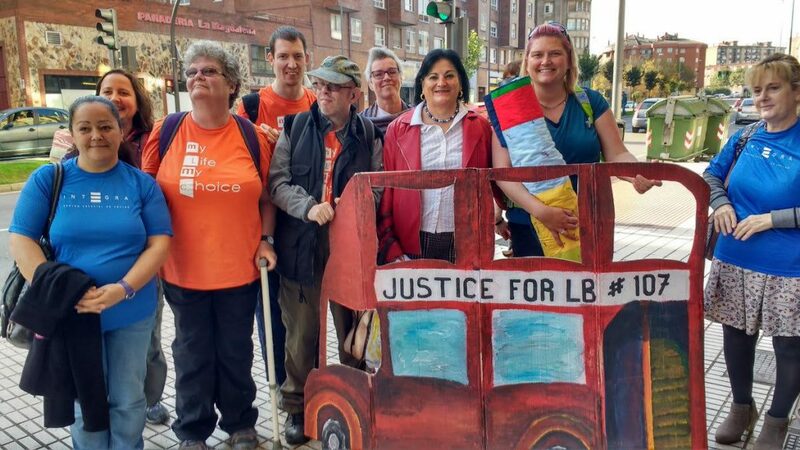 The JusticeforLB campaign has focused on raising awareness of premature deaths together with the need to listen to families and to fully involve learning disabled people in their care, and in society more generally. Bereaved families are not entitled to legal aid and therefore we also sought to raise funds to cover legal action. In October 2016 I attended LB’s two week jury inquest with his family and legal team, and tweeted the proceedings in real time, enabling those not in attendance to follow the court case. This year we decided to live tweet the fitness to practice tribunal into Dr Valerie Murphy, the Consultant Psychiatrist who was responsible for LB’s care. We launched a crowdfunding campaign to cover my travel and accommodation expenses and have raised more than twice what we asked for. The additional money will be used to cover the upcoming Health and Safety Executive prosecution, and the tweets will enable us to continue shining a light on these murkiest of processes." Head to their campaign page to learn more!